Bodega Y Vinedos Renacer S.A.-Punto Final-Malbec-Reserva-Mendoza-Argentina-2010-14.8% Alcohol-$13.99-A nose of dark fruit and tar, dark purple in color. 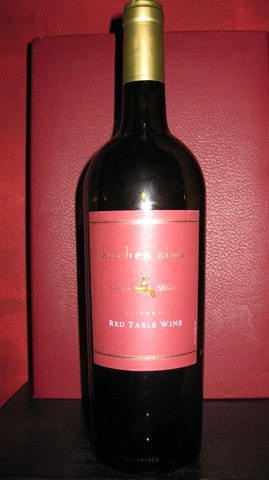 A full bodied Malbec, with black cherry, plum, cassis, chocolate and spice on finish. A solid wine, a great QPR. WS-90 WE-88 CR-89 Good with meats, chicken, pasta. 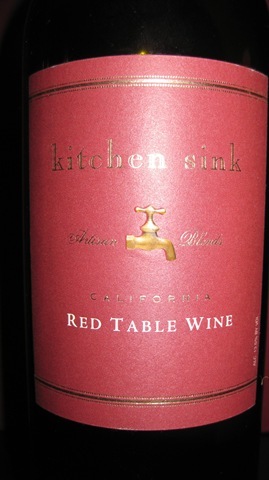 Kitchen Sink Blends-Kitchen Sink-Zinfandel-Merlot-Cabernet Sauvignon, Petite Sirah-California-NV-12.5% Alcohol-$8.99-A sweet fruity nose, dark in color. A good midweek wine, enjoyable without expecting too much from a non-vintage wine, dark berry flavors, crème de cassis, pretty much the same description as last time tried 4 years ago, a good QPR. NR CR-86 Good with meats, chicken, pasta.